Laxmi Narayana Chinthala is from poor family. 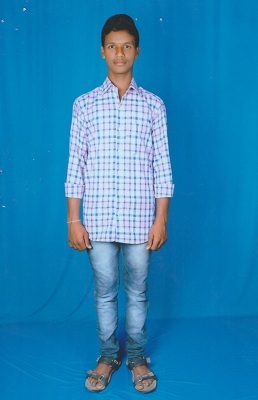 He has a dream to become a Police officer, but can not continue his schooling due to financial problems and he was at the edge of discontinuing his studies. The earnings made by his Father are not sufficient for maintenance of their family. 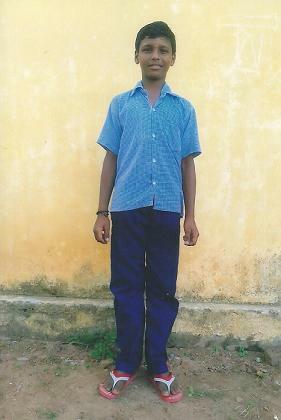 He has approached Bighelp with request for support when he was studying 7th class and got 78% marks in 6th grade. He promised to study well and strive hard to accomplish his dream of becoming Police officer come true. 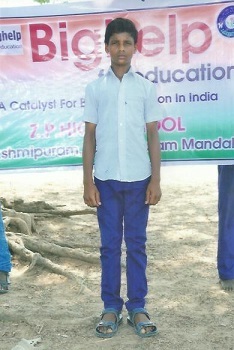 Hence Bighelp believes and wishfully comes forward to help this student in making possible of his dream come true. 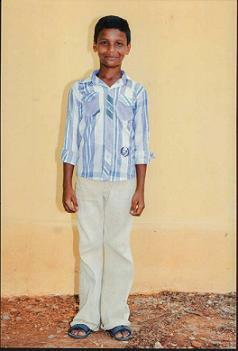 Bighelp thanks Vyasakumar Chinnam & Uma Gorantla for kindly sponsoring the education of Laxmi Narayana Chinthala.